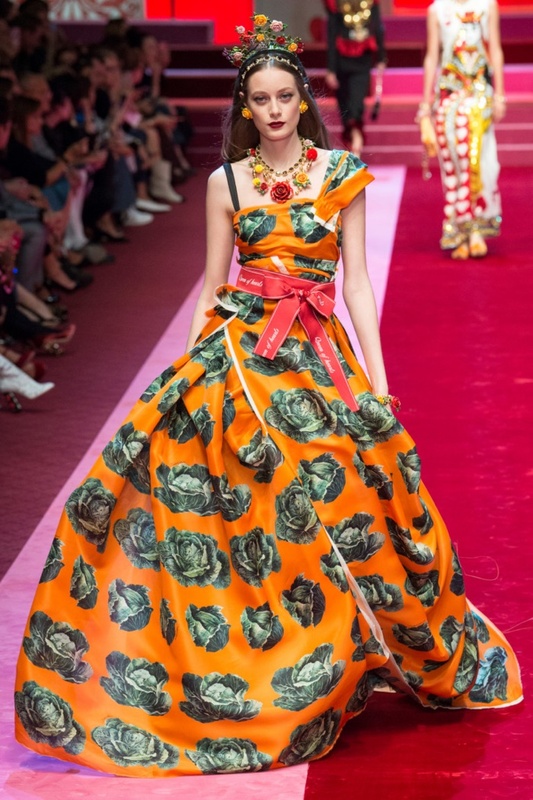 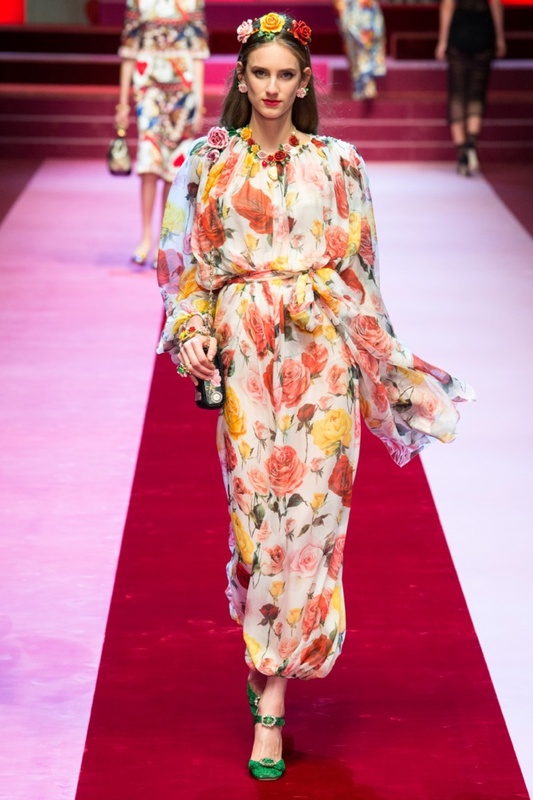 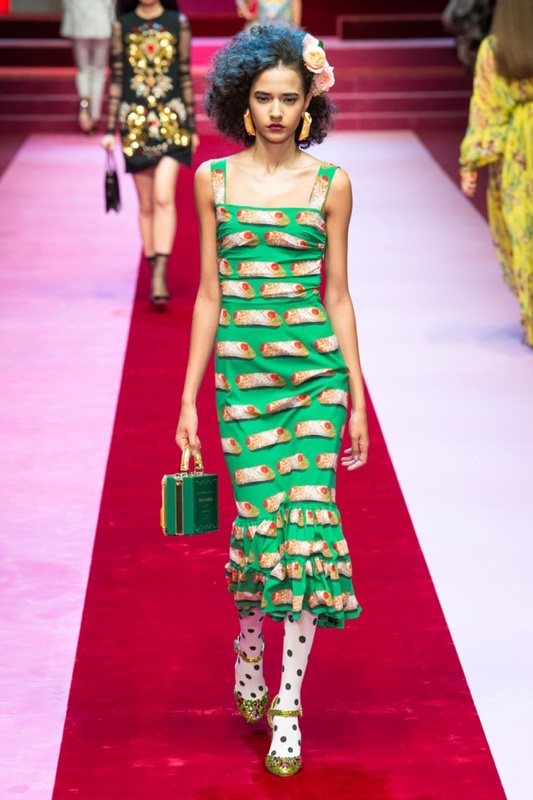 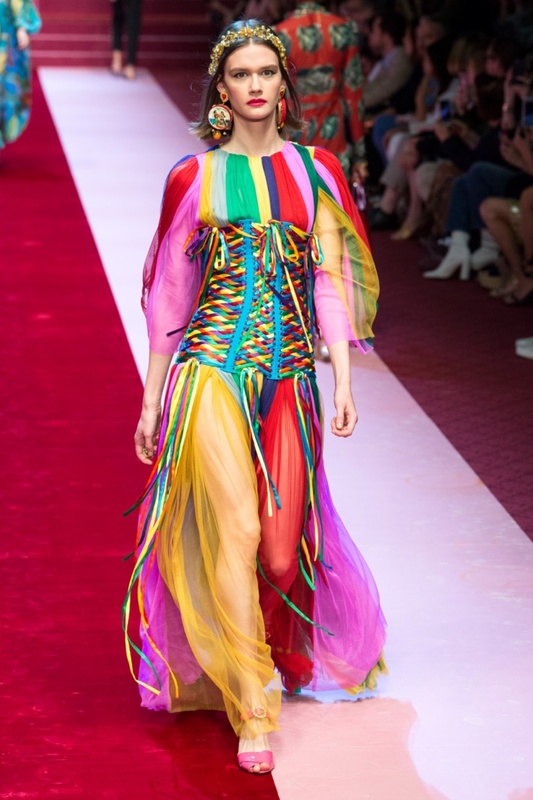 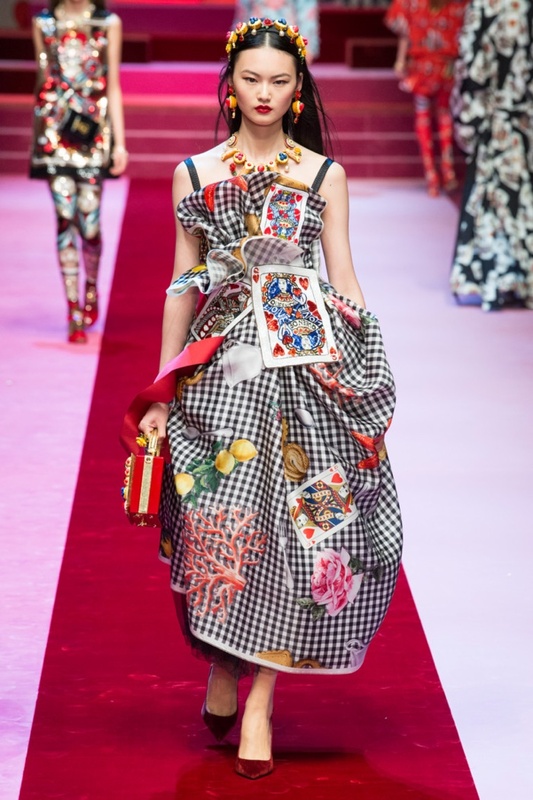 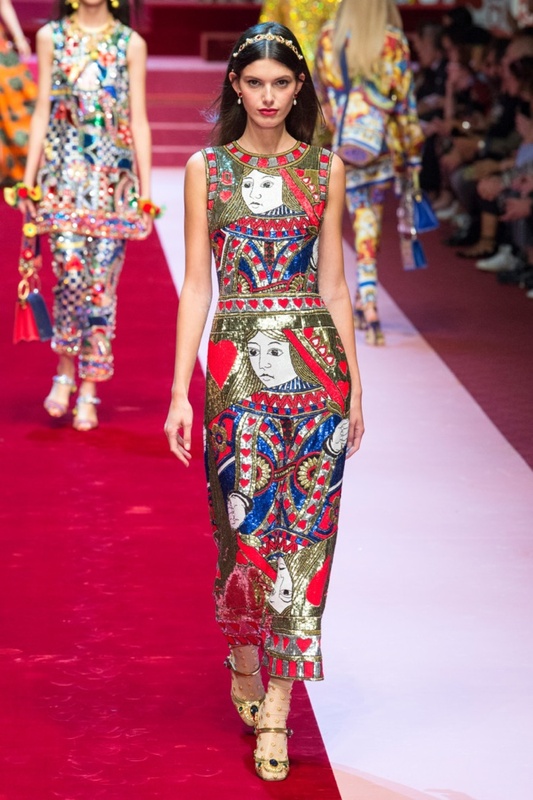 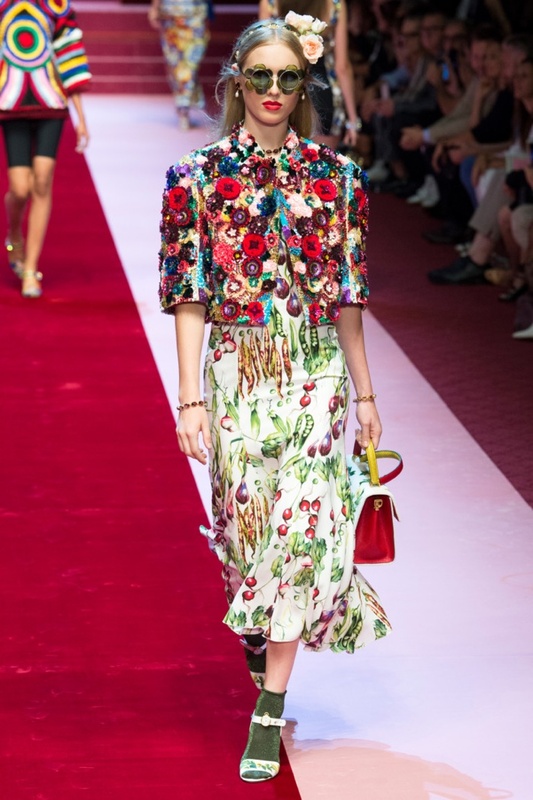 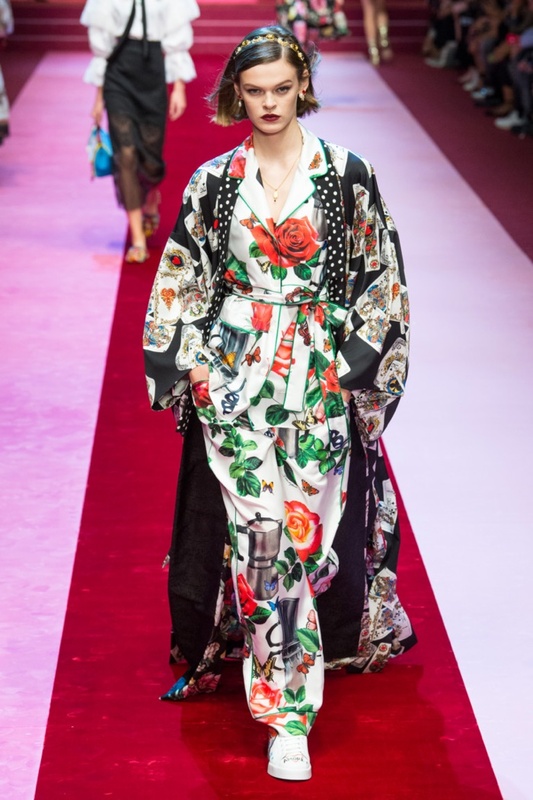 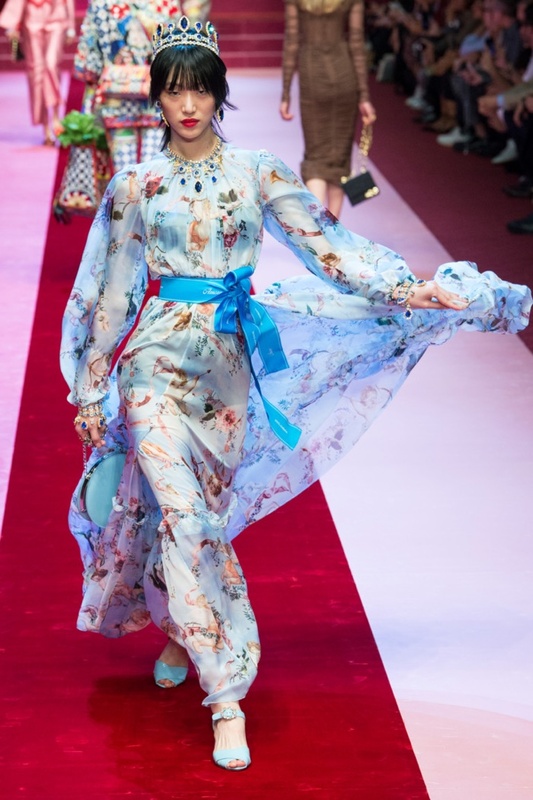 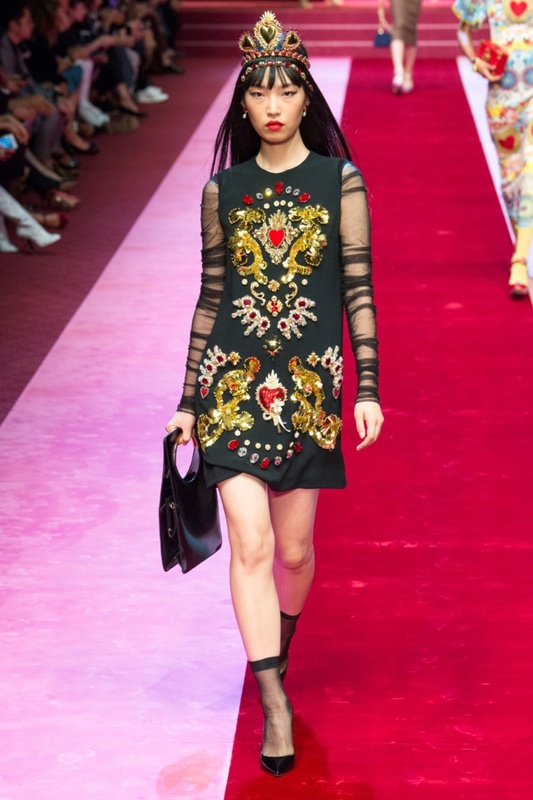 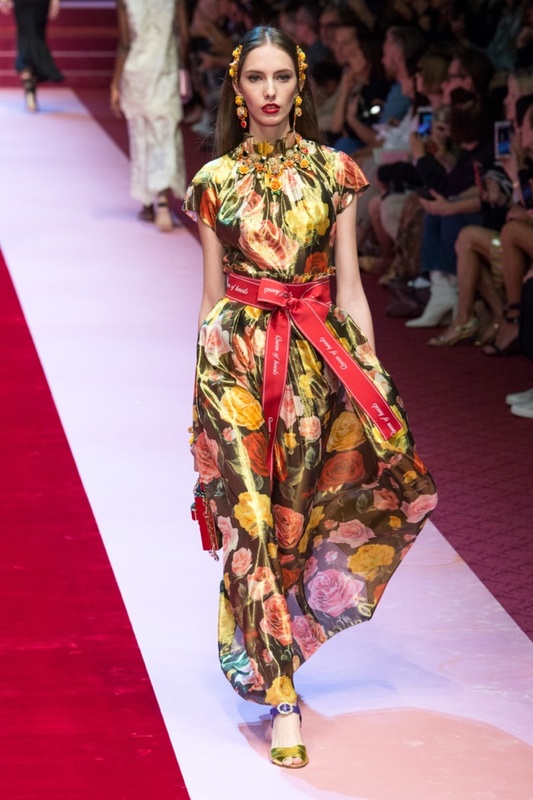 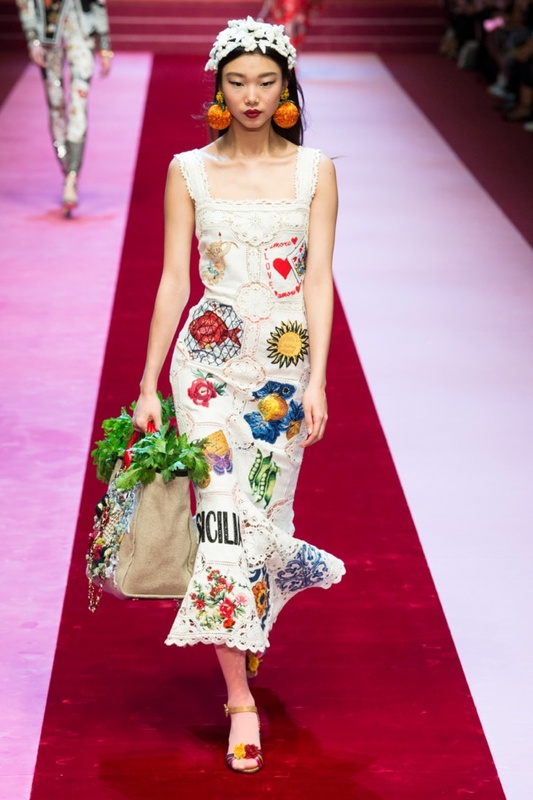 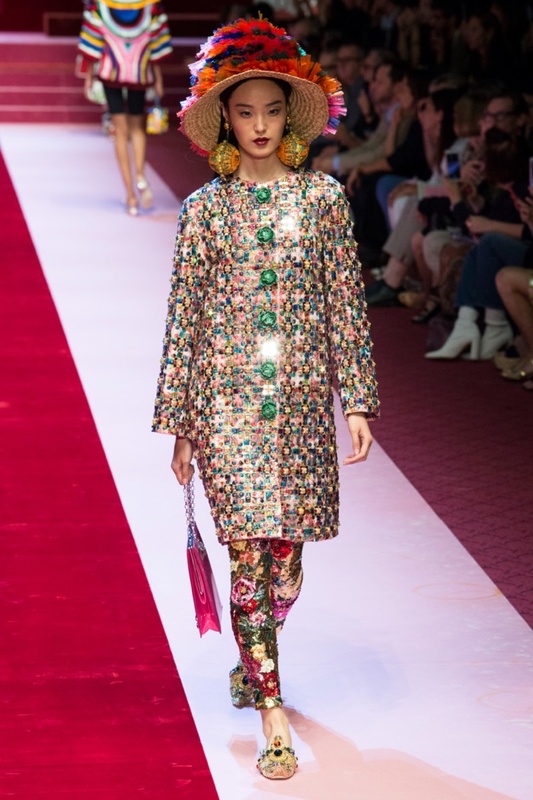 Italian luxury fashion label Dolce & Gabbana presented its Spring/Summer 2018 Collection, and the runway saw the models walk in lingerie inspired designs. 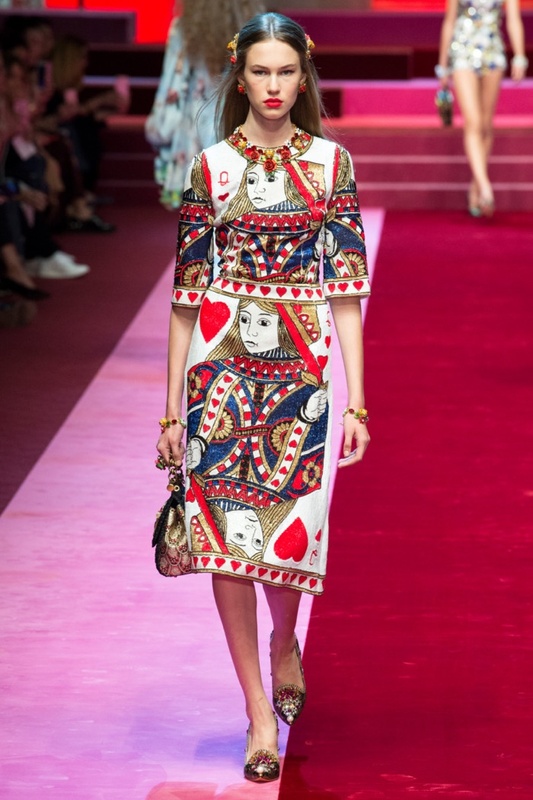 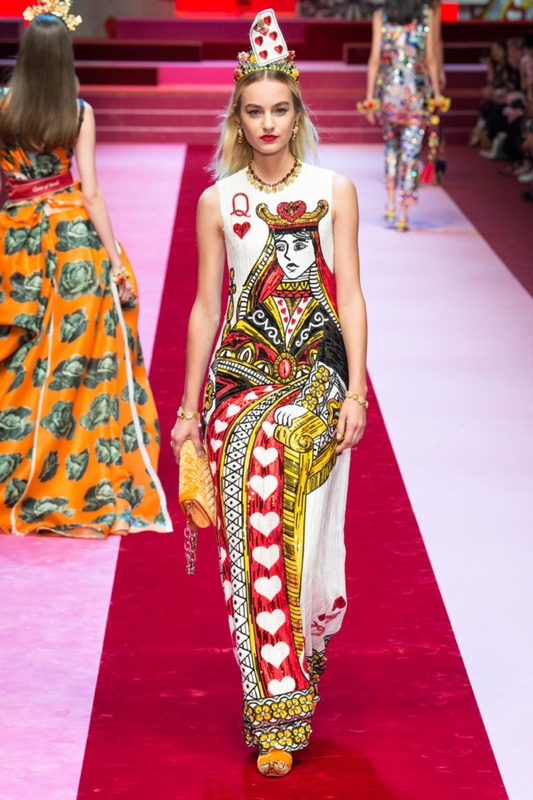 Showcasing over a hundred looks, the runway saw the collection, dubbed 'Queen of Hearts', with the backdrop of the runway as playing cards. 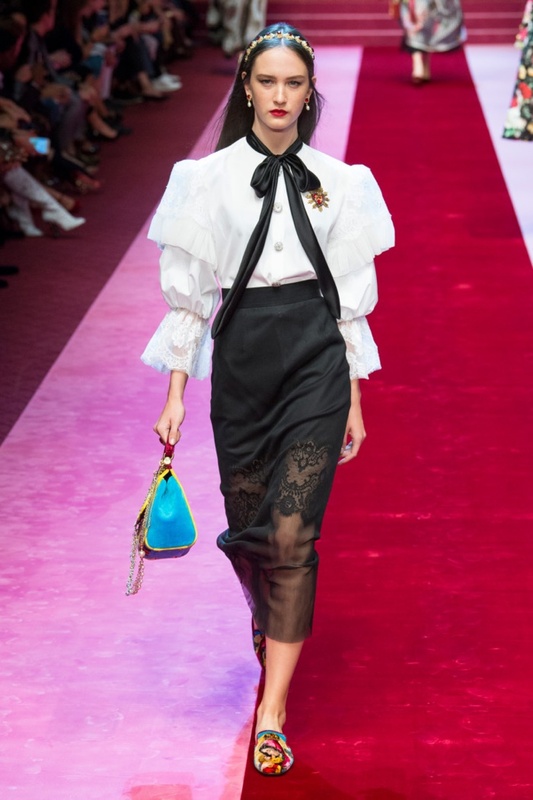 Dolce & Gabbana went bold and daring, and opened the collection with sensational black designs, lingerie inspired, with sheer and lace details. 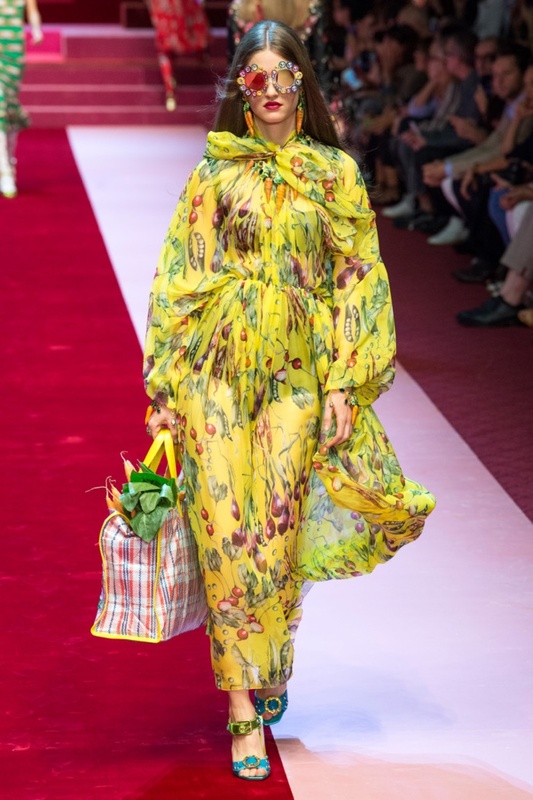 The luxury label's signature vivacious and bright floral embroidery were also seen on the runway, along with playful prints of fruits and vegetables, fish and sweets too. 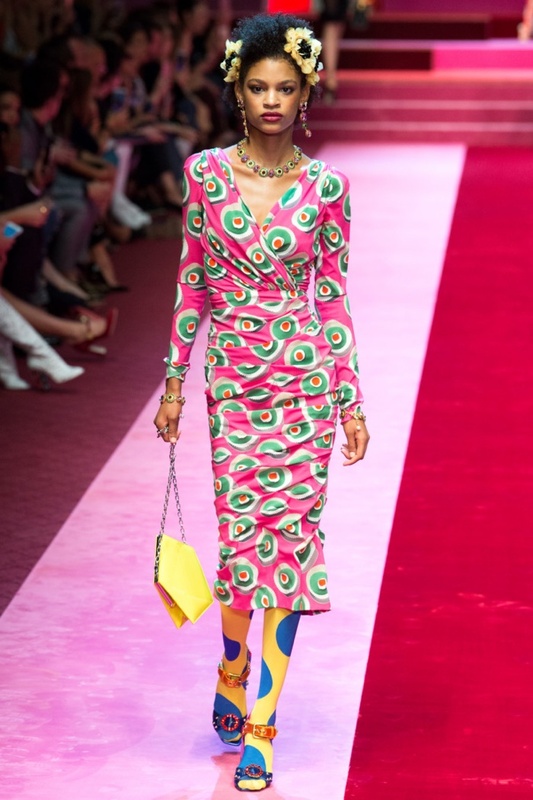 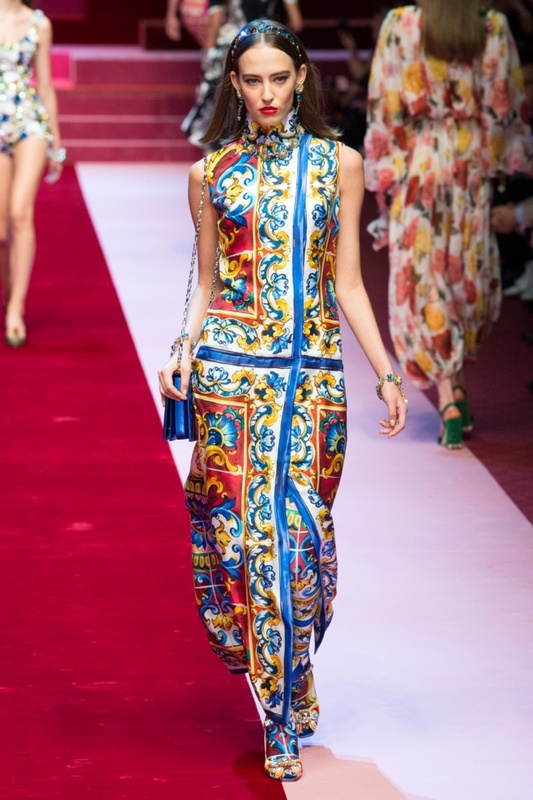 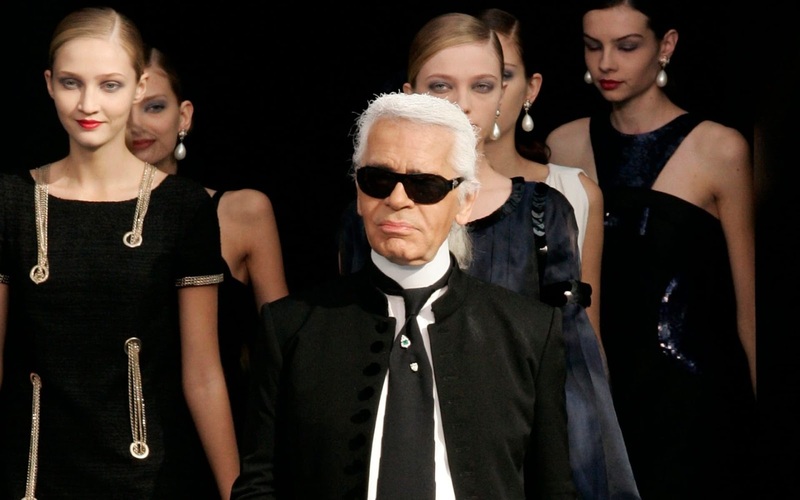 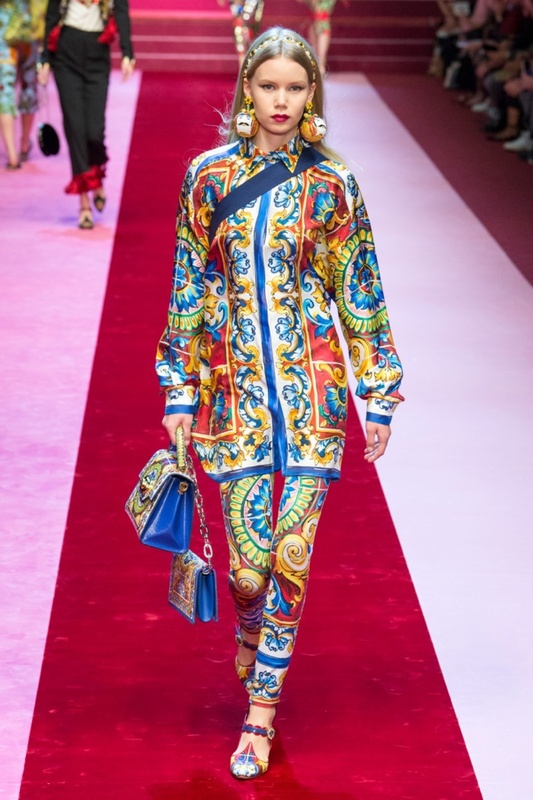 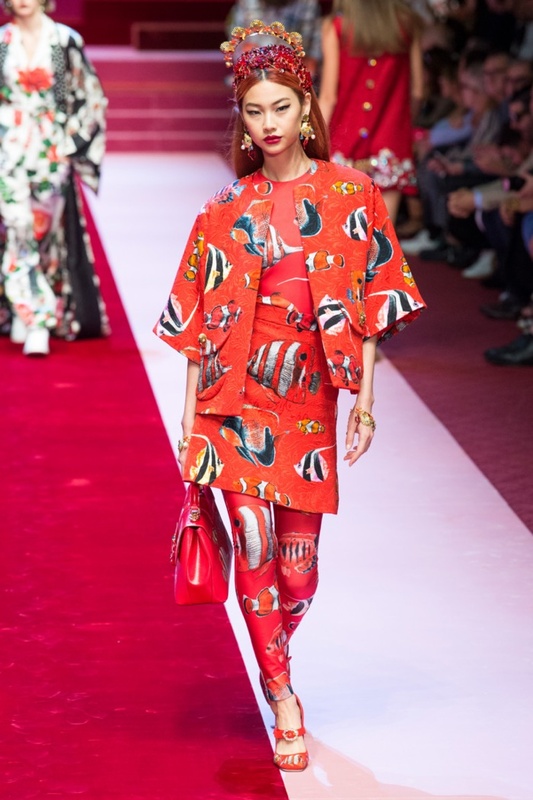 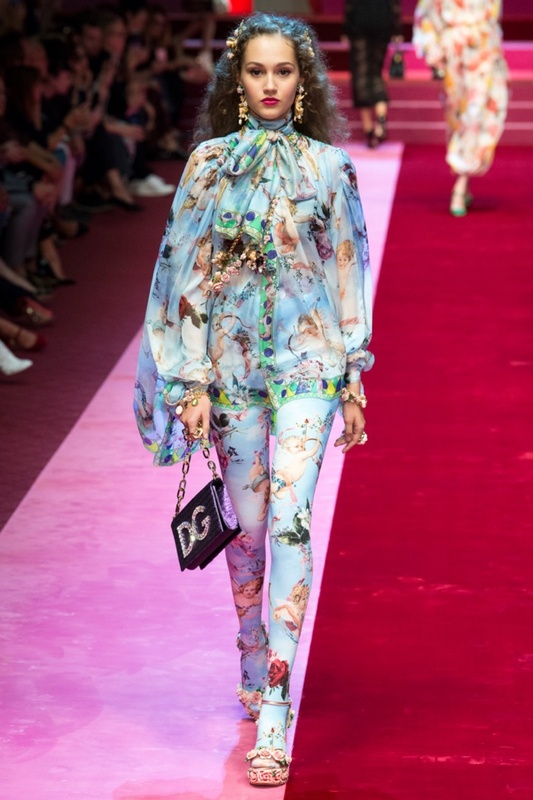 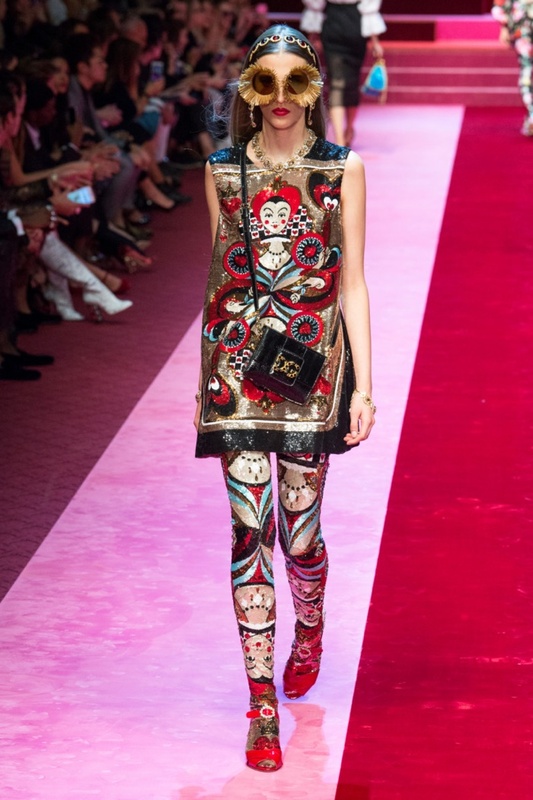 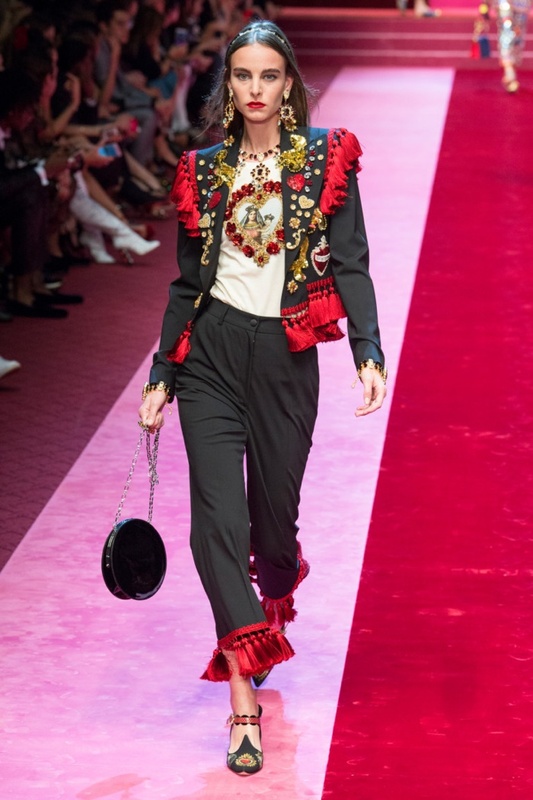 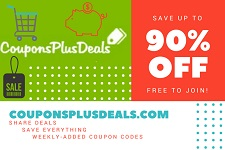 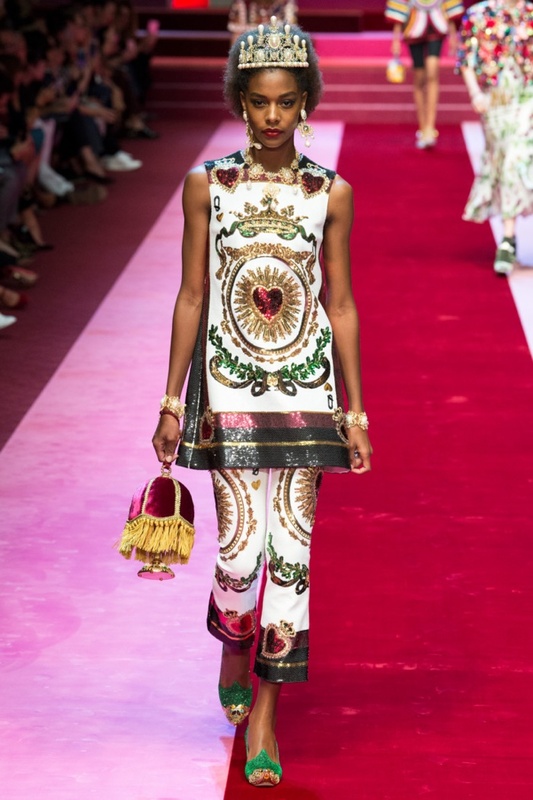 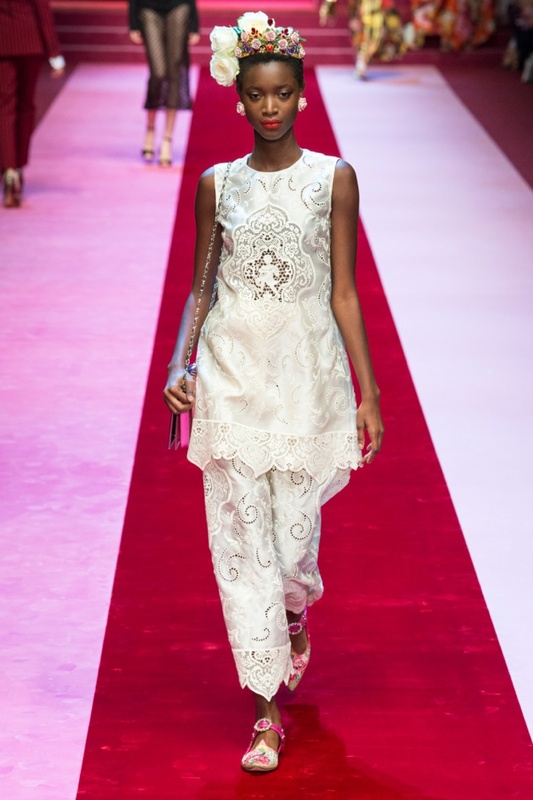 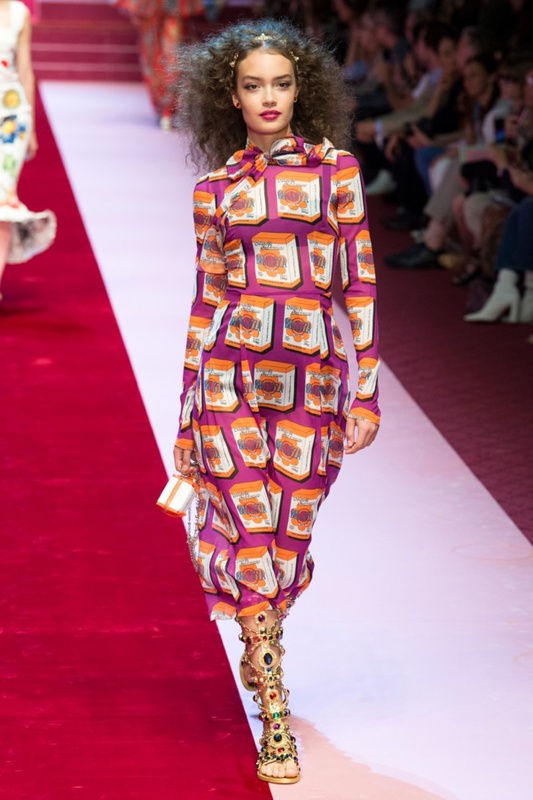 Top models including Elsa Hosk, Sara Sampaio, Hailey Baldwin and Hannah Ferguson walked the ramp, and showcased the glamorous D&G styles for the season. 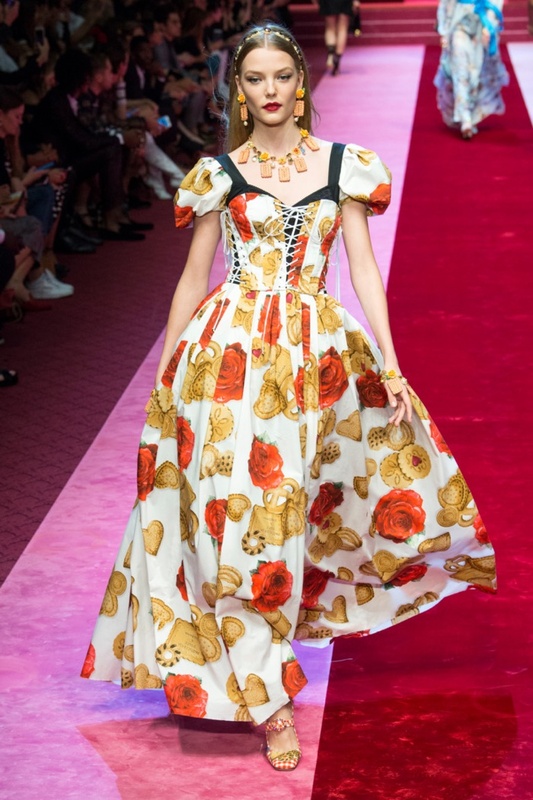 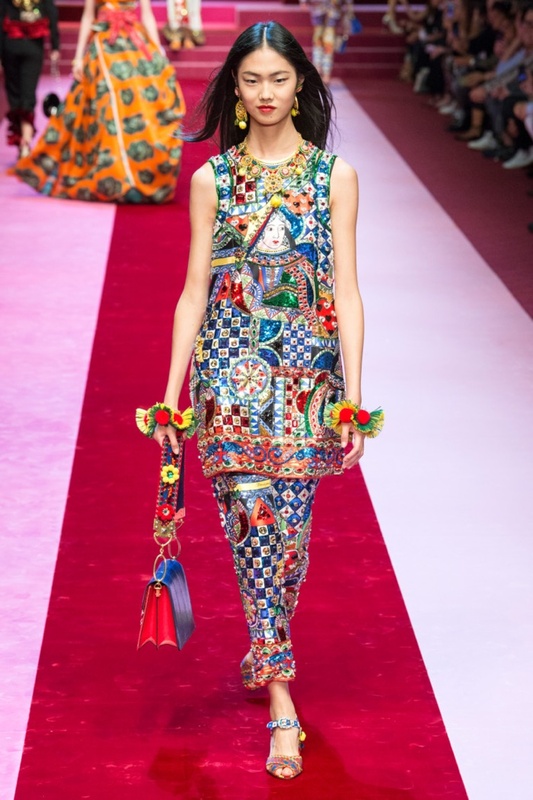 Statement accessories added on to the royal and regal theme of the runway with glittering tiaras, floral crowns and feathered headpieces, and the collection was typical Dolce & Gabbana, stunning and captivating.